What’s most shocking to me about Israeli wine is its consistent freshness. I wonder if winemakers there — all-too-aware of Israel’s reputation for ponderous, syrupy Maneschewitz-like wines — have reacted, consciously or subconsciously, by crafting wines with bright acids and lively spice. They are ideal for holiday entertaining because most of them pair well with food, and they tend to be excellent values for the money. The fact that the wines come from the Holy Land is an extra bonus. I must admit that until recently, I was generally unfamiliar with Israeli wine. 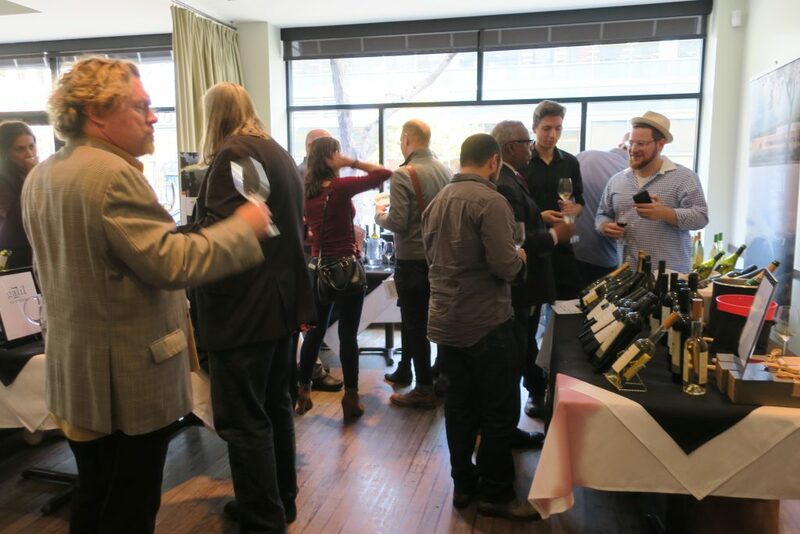 A tasting of Galil wines earlier this year surprised and delighted me, and so I jumped at the chance to try the bottlings of other Israeli wineries at a tasting at Chicago’s Naha restaurant. The wines impressed me time and time again. 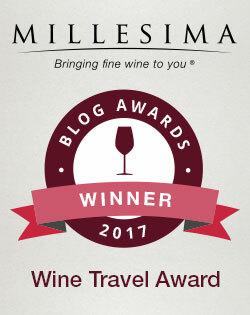 But why, if the wines are so good, does Israel have a reputation for being vinously compromised? The short answer is that its ancient traditions of winemaking were obliterated by hundreds of years of Muslim rule, and only in the last half-century or so has Israel been able to reclaim this heritage. But reclaim this heritage they have. 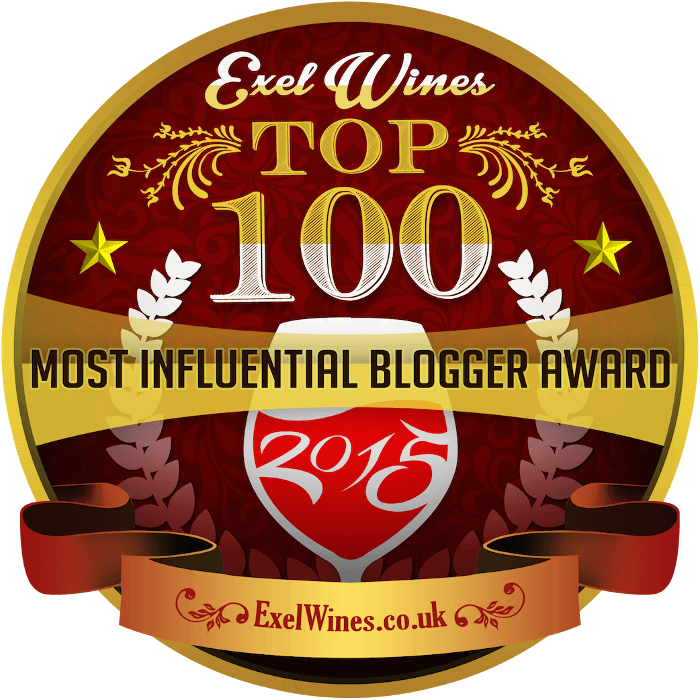 You can read a bit more about Israeli winemaking history in this post about the Galil tasting. I tried 19 wines at the tasting at Naha, and there wasn’t a stinker in the bunch. There were certain wines that positively caused a sensation. This beauty had an extremely enticing aroma of buttered popcorn with a hint of citrus. It felt big and creamy, but limey acids and white pepper spice gave focus to the lushness. Yarden’s Vice President of Sales, Anne Marie, told me that the Katzrin (named after the town in the Golan Heights where the winery is located) saw 75% new oak! But the balance was amazing. I loved it. This vintage costs about $30, according to Wine Searcher, which is a smoking value considering the quality of the wine. Shalom, owner of Chicago’s Kol Tuv kosher grocery store, exclaimed, “This is one of the best wines I’ve tried — I’d recommend it to anyone!” I would as well. It looked dark and thick, and smelled of ripe plums and blackberry jam. It tasted rich but strikingly clean, with big but supple tannins. Bold, brightly acidic, rich and fresh; what more could you want? Petit Verdot, historically a Bordeaux blending grape, “is well suited to warm, dry parts of Spain… and it has performed exceptionally well in varietal form in the irrigated inland regions of Australia…” according to The Oxford Companion to Wine. It’s no surprise that it also does well in warm, dry Israel. Another fine value for about $35 a bottle. A blend of two Portuguese varieties, Touriga Nacional and Tinta Cão, this wine (along with the Petit Verdot) had everyone at the tasting talking. I can see why. It had a very appealing aroma of ripe raisins and baking spice, and it tasted rich and just a bit funky. Refined spice cut right through the big, raisiny fruit, maintaining ample balance. A delight, and an excellent deal for $25-$29. The above three wines should be purchased on sight. They’re something of a splurge for most of us, but you deserve it! 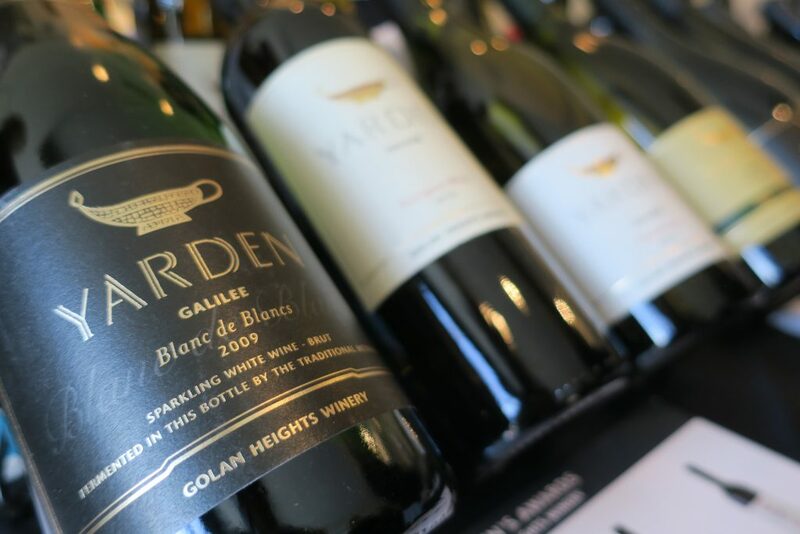 Look for other Golan Height Winery wines as well (“Yarden” will be prominent on the label). The Sauvignon Blanc felt wonderfully exotic with its note of passion fruit, the organic Odem Vineyard Chardonnay felt taut and zesty and just a touch buttery, the Syrah was refined and rich, and the Cabernet had ample plummy fruit balanced with freshness and spice. 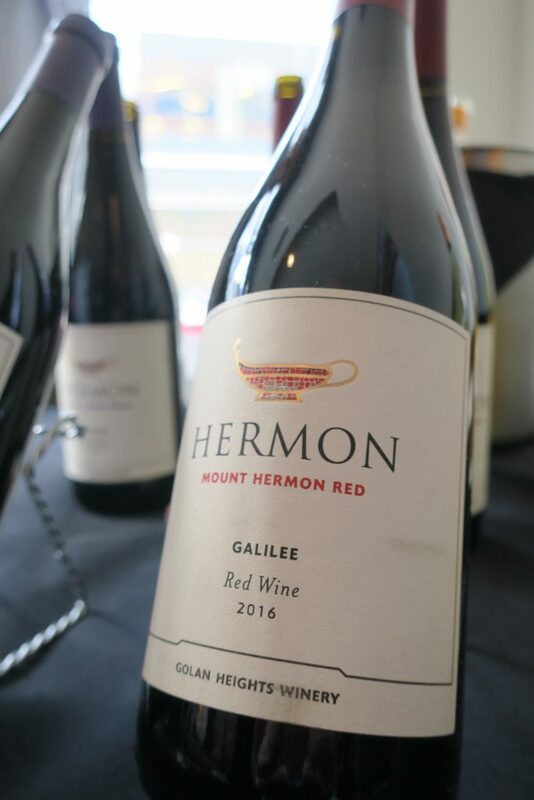 Mount Hermon is a more inexpensive brand of Yarden, and its wines are a great value for the money. This blend of Cabernet Sauvignon and Syrah had notes of cheerful dark cherry and vanilla, with some exotic spice, like jasmine. It sounds sweet, but it dries right out on the palate. I found the 2014 vintage for $13 at Binny’s. A classic Bordeaux-style blend, this wine tasted freshly fruity, with ripe red fruit, refined juicy acids and a long finish with subtle spice. A lift of freshness supported the wine throughout. The 2014 vintage is also $13 at Binny’s, which is a steal. I tend to avoid Moscato nowadays, because it tends to be too simple and sweet for my taste. This version, however, had an alluring aroma of orange flowers, lychee and jasmine, and mouthwatering orangey acids complemented by foamy bubbles. It gives any Moscato d’Asti a run for the money, especially considering it costs only $10 or $11, according to Wine Searcher. 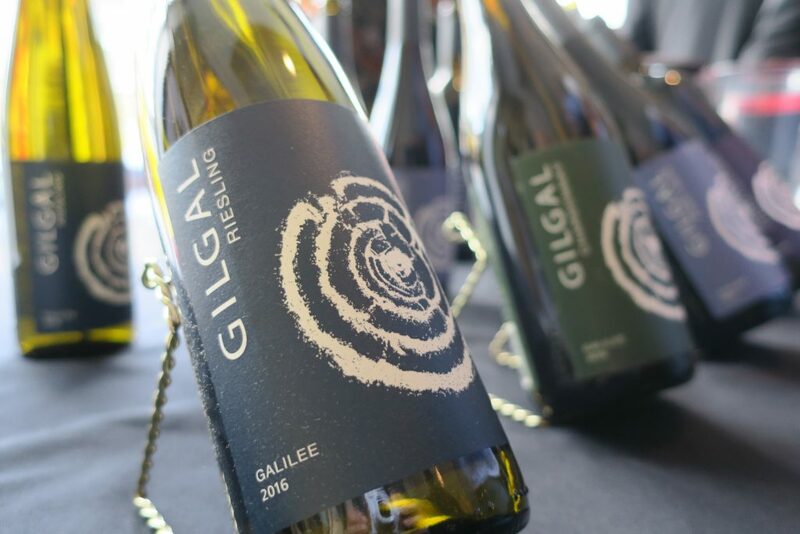 Gilgal is more of a mid-range offering of Yarden, and its wines taste sophisticated. I also like the label, which depicts an ancient and enigmatic henge near the winery. The Riesling was thoroughly dry, so those with a phobia of sweet wine have nothing to fear. Taut and citrusy and rather forceful, the wine moved from pear to lemon/lime acids to ginger and white pepper spice, followed by a dry finish. It costs about $13, a magnificent value considering that a comparable German Riesling would cost twice as much. Whereas the Yarden “Katzrin” Chardonnay tasted rich and luxurious, the Gilgal version felt fresh and spicy. It moved seamlessly from ripe fruit to focused white pepper to juicy lemon/lime acids to something like fresh straw. Very classy, and, surprise, it’s a superb value. It runs about $14. Light-bodied with plenty of fresh dark-cherry fruit and some refined black pepper spice. Some inexpensive Pinots can be a little too earthy for my taste, but this one, which costs $13 or $14, is fresh and fun. Even the Cabernet had impressive freshness. It had a huge aroma of raspberry jam, and big, rather raisiny fruit on the palate, but lively spice and underlying freshness kept it light on its feet. And, of course, it’s an excellent value for about $13 or $14 a bottle. Finding Israeli wine might take a little effort, but your work will be amply repaid by wines that are generally ripe, fresh and very well-priced. 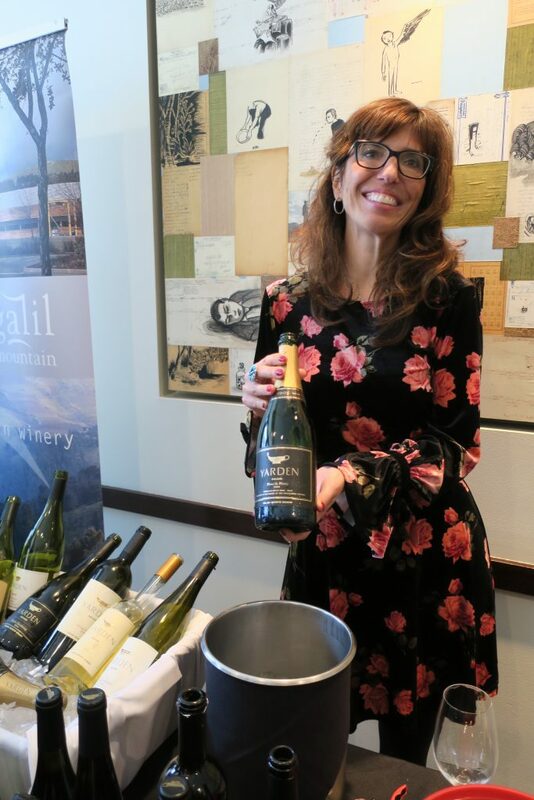 I’ve now tried quite a few of the wines made by the Golan Heights Winery, Galil, Gilgal and Mount Hermon, and I’m hard pressed to think of one I didn’t like. I also recommend checking out this pairing guide produced by Yarden, the first latke-themed wine chart I’ve ever had the pleasure to encounter. Happy Hanukkah and Merry Christmas, everyone! Note: I was invited to this wine tasting and did not pay for the wine I sampled. A Sparkling Wine Guide For New Year’s Eve Name That Wine: The Debut Episode!